Let this beautiful angel fill your heart with peace throughout the holiday season. 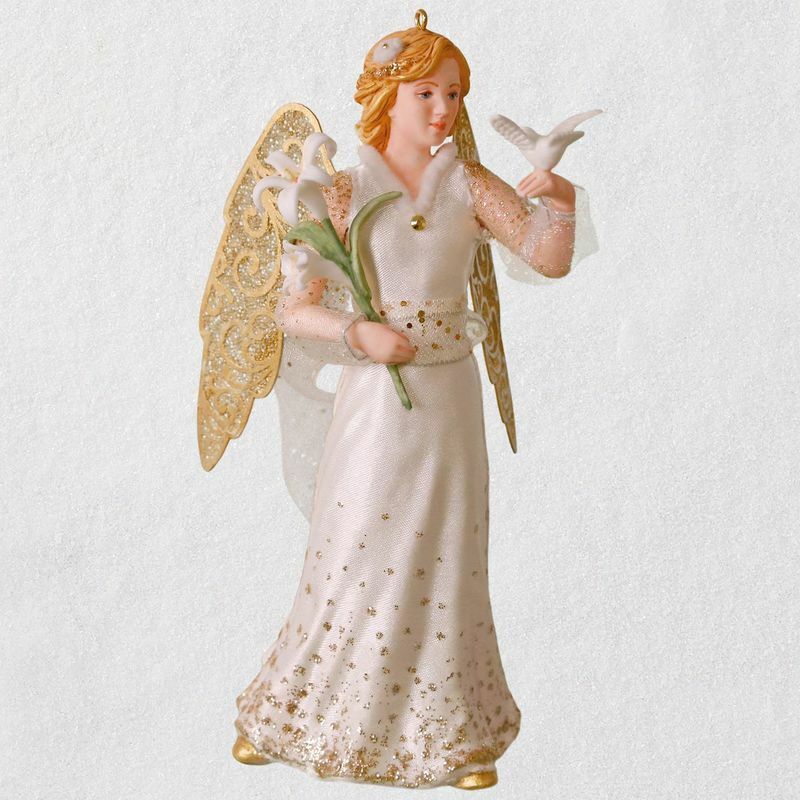 A delicate dove perches on one hand as this graceful angel carries an Easter lily stem, inviting you to pause and be inspired. 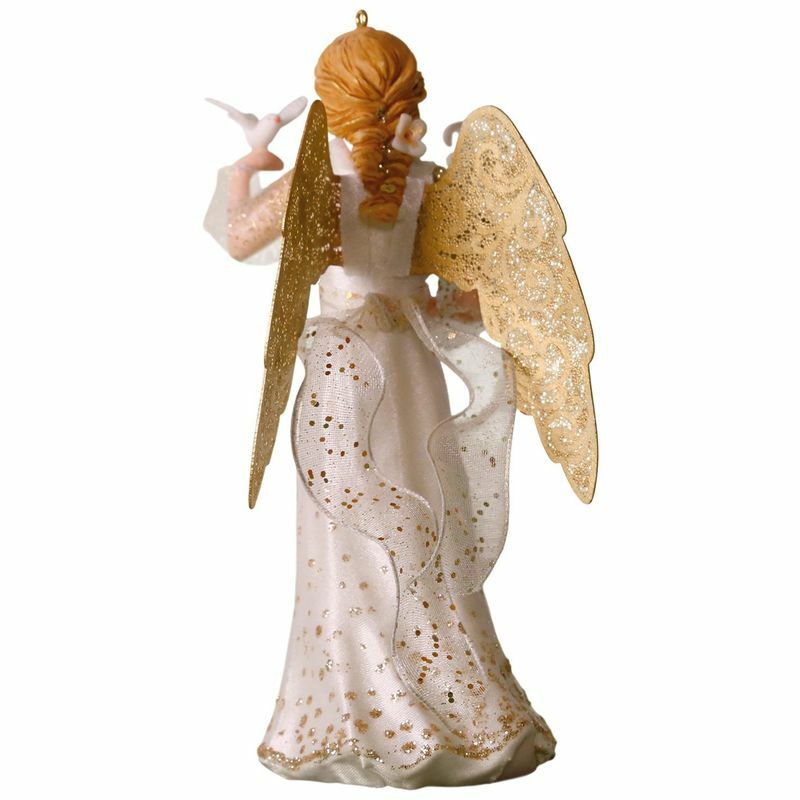 Metal wings, glitter and fabric ribbon embellishments add extra sparkle to this ethereal Christmas tree ornament. 1st in the Christmas Angels series. First in the Christmas Angel series. On ornament: (base) Let there be peace on earth. 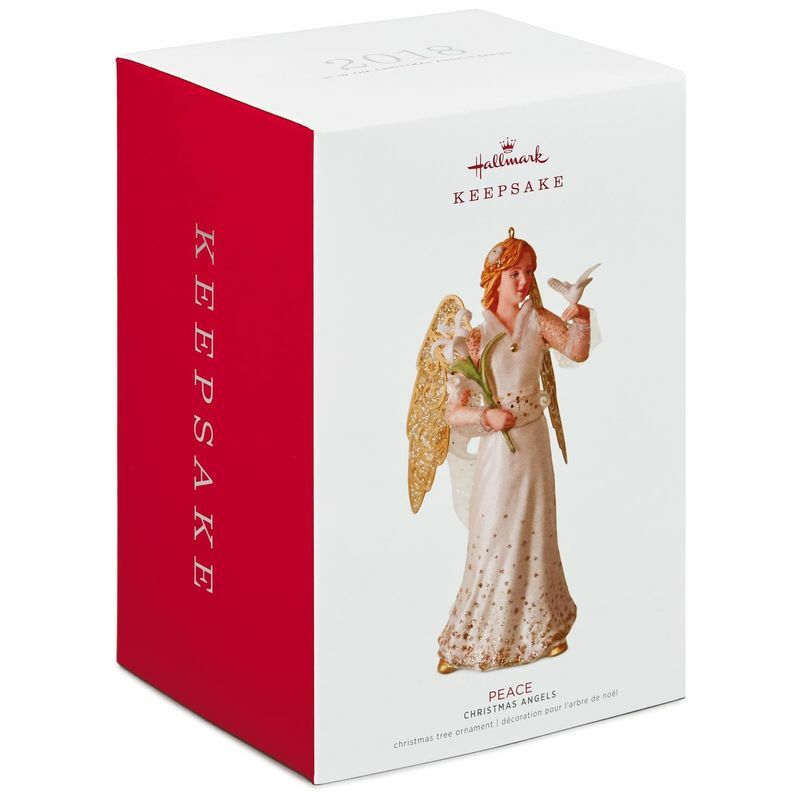 Each ornament in this new series will feature a beautiful Christmas angel with a meaningful holiday message. Measures 2.67" W x 5.68" H x 3.29" D.